It’s been a particularly crappy couple of weeks when it comes to the gender divide, and people getting their hate on for feminism (yeah, I’m gonna poke that bear again). But it was while out shopping with my daughter yesterday, that the ire in both of us was roused. Why? Because of the colour pink. I’ve never been a fan of the colour (although I do have a pale-pink skull cap I adore), and that dislike has only deepened over the years as its use as a marketing ploy to lure half the species. It basically equates to: female bits = love of all things pink. Yeah… no. When I see aisles of pink in the toy section, it pisses me off. As parents, are we too stupid to know which toy our child will like unless it’s painted a particular colour? Will my daughter or nieces not play with Lego unless it’s pink? Will they not pick up a Nerf gun or crossbow unless it’s pinked-up with ‘Rebelle’? (Why not Rebel?) Is that blue truck not for them? “Wrong is what it is,” I told her, my ire matching hers. My daughter loves to read, she loves books and she loves comics, and she’s just been told by company marketers that if she’s a girl, the only way she can like superheroes is if they’re pink. Superheroes as they’re depicted in the comic books. She’s smart my daughter. Strong and opinionated. She won’t be swayed by the stupid pink marketers put on merchandise, and she’ll speak up when she sees how wrong that is. But most of society is conditioned to ‘girl = pink’ and ‘boy = blue’, and what happens to those kids who identify to so-called opposing gender colours? You see it’s more than just an ‘identifier’, it’s a separator. Girls here, boys there. These are for them, not for you. And just to make it easy, let’s colour-code the crap out of it. Are you pretty in pink? Or dark and tough? 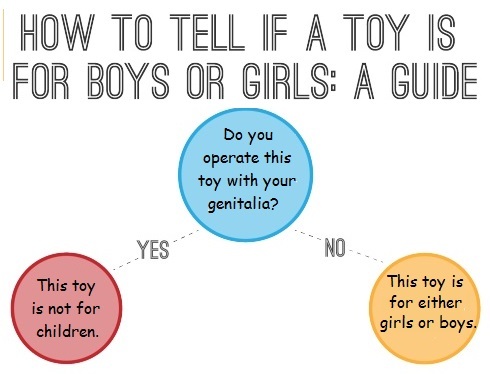 It’s this gender divide that begins at birth (or even pre-birth for those who discover the gender of their child), and is reinforced via gender-stereotyping of toys and clothes, and infused with colour. It’s something my husband and I never bought into, and something we explained to both our daughter and our son – colour, like everything else, has nothing to do with gender. You like what you like. If the marketers have done one thing though, they’ve shown me and my daughter that we don’t like being coloured pink.